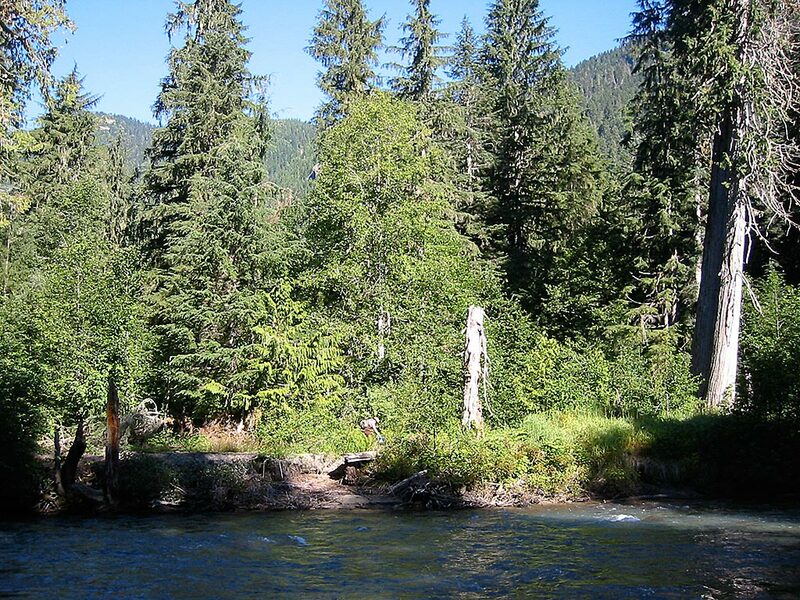 Invasive knotweeds are a serious threat to the rivers of the Pacific Northwest, in the northeast part of the USA and in Europe, particularly Bohemian knotweed (Polygonum X bohemicum). Knotweeds are extremely aggressive herbaceous perennials that grow to 10-12 feet tall and create giant monocultures that can cover several acres, interrupting plant succession and causing a host of other problems. 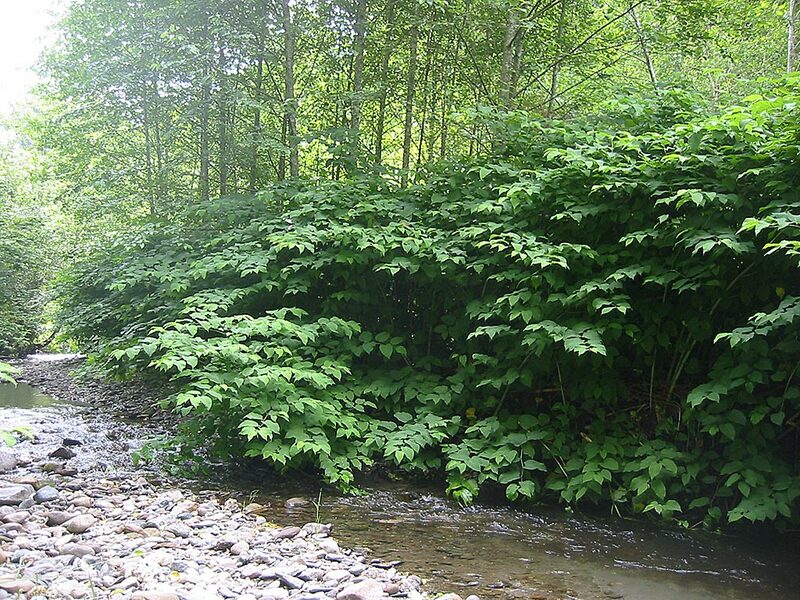 Salmon and other wildlife depend on complex, shaded, cool rivers and creeks rich with large woody debris for spawning and rearing habitat—habitat that is gravely threatened by knotweed. Control is challenging and takes at least 3-5 years of consistent followup efforts to eliminate populations. 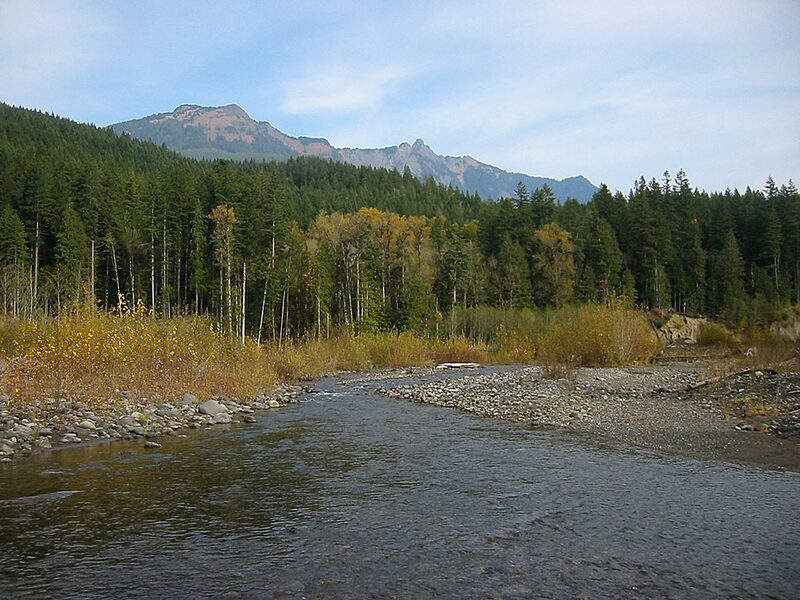 Shelterbelt was hired from 2003-2011 by the Whatcom County Noxious Weed Control Board and US Forest Service to survey, monitor, and treat knotweed populations annually within the greeter Nooksack River Watershed in northwest Washington state. 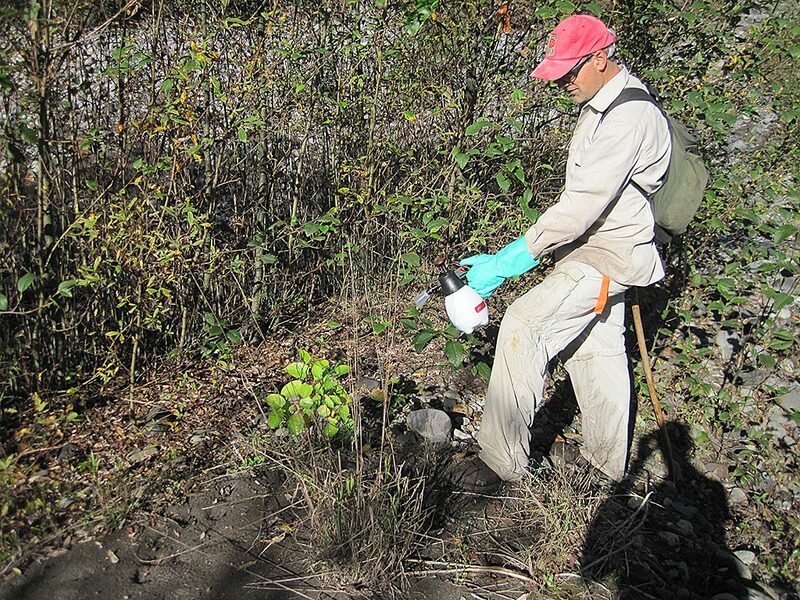 Initially, field crew staff hiked and boated into remote areas of the watershed to map each patch of knotweed with GPS units. 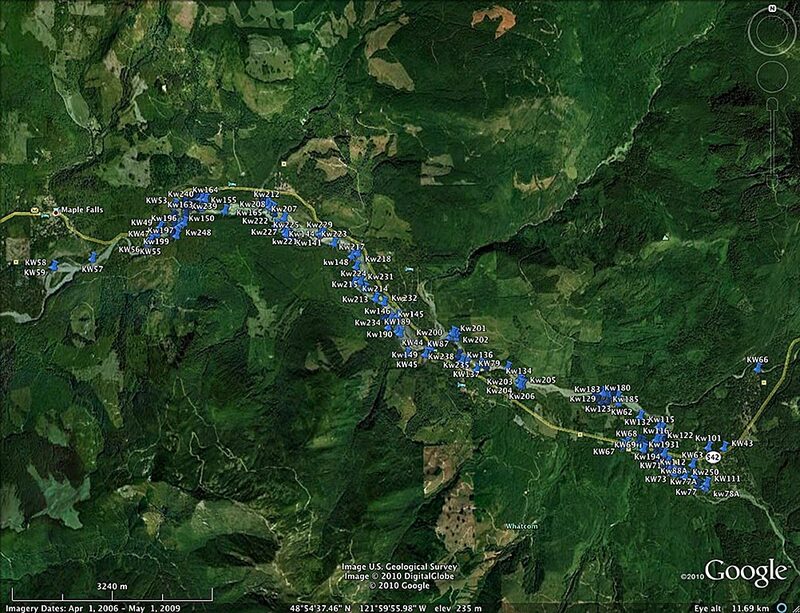 Data was consolidated in GIS and used to prepare annual treatment plans for the watershed. 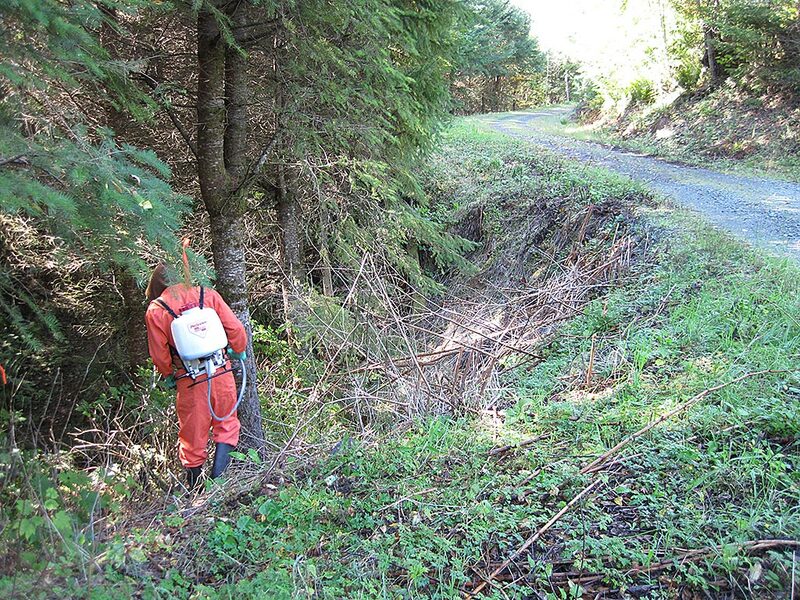 In later years, Shelterbelt worked with agency staff to prioritize patches for treatment and applied aquatic pesticide control treatments throughout the project area.